Aaron Samuels is releasing a Mean Girls Cook Book (seriously) | SHEmazing! 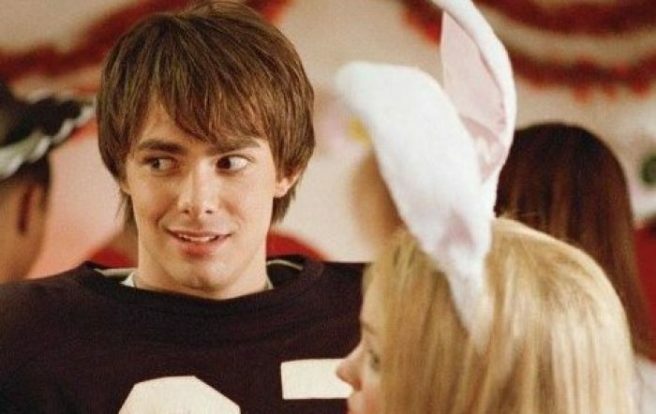 Mean Girls is one of the most iconic teen movies of our time, and tbh, Aaron Samuels was our first ever on-screen crush. The North Shore High lothario toyed with the hearts of both Cady and Regina while having a heart of gold (and enviable hair) himself. Played by Jonathan Bennett, we we're huge fans – and clearly Jonathan hasn't let go of his love for the film. Last April, the actor announced that he was releasing a Mean Girls themed cookbook – aptly titled The Burn (Cook) Book. 'Today is the 14th anniversary of #MeanGirls and I'm thrilled to share with you all a little sneak peek inside my new cookbook #BurnCookBook,' he wrote on Instagram at the time. The book and it's launch are chock-a-block with Mean Girls puns. What kind of recipes can we expect? Well according to Jonathan 'Kalteen Bars, Gretchen's Wieners, Fetch-uccine Alfredo, You Go Glen (Hot) Cocoa, Ms. Norberry Pie, Just Stab Caesar Salad and Is Mac and Cheese a Carb? It's the perfect gift for the Mean Girls zealot in your life.